At Room & Board, we believe that community involvement is important to our wellbeing. 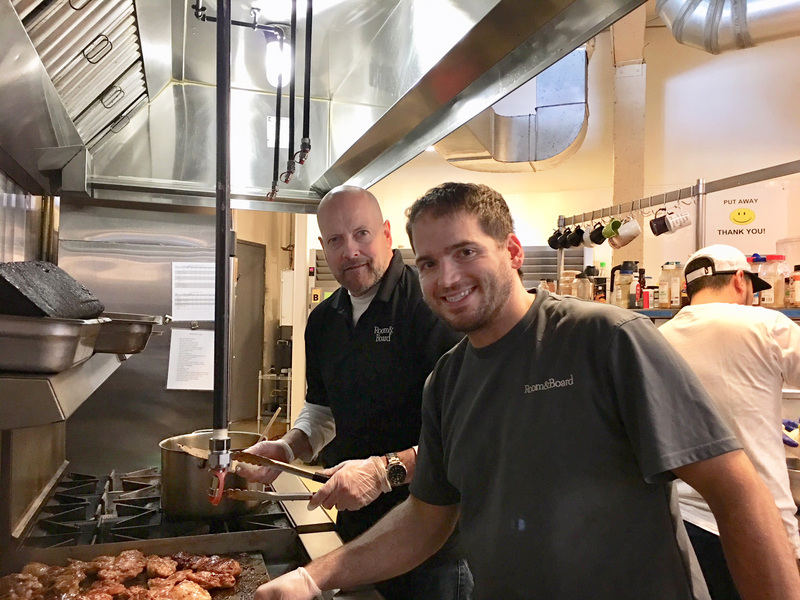 Through our Community Partnership Program, our staff members have the chance to establish and foster long term relationships with non-profit organizations. 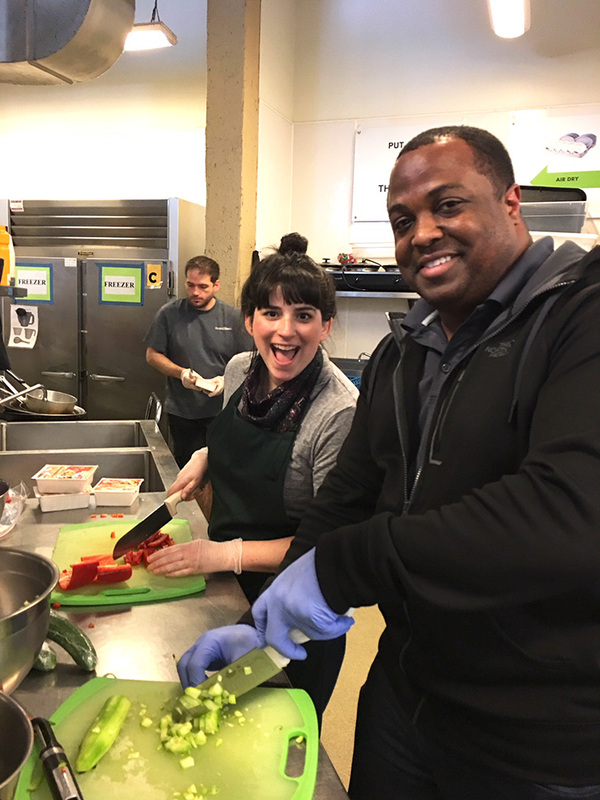 When the Seattle delivery and store teams began exploring local organizations to partner with in 2015, they felt an instant connection to the mission of YouthCare. YouthCare seeks to build confidence and self-sufficiency for homeless youth. “As residents of the city, we see Seattle’s housing crisis firsthand. Because of this, we connected with YouthCare’s work with young people who are at such a sensitive and vulnerable stage of their lives,” said Seattle Retail Market Manager Hong Nguyen. 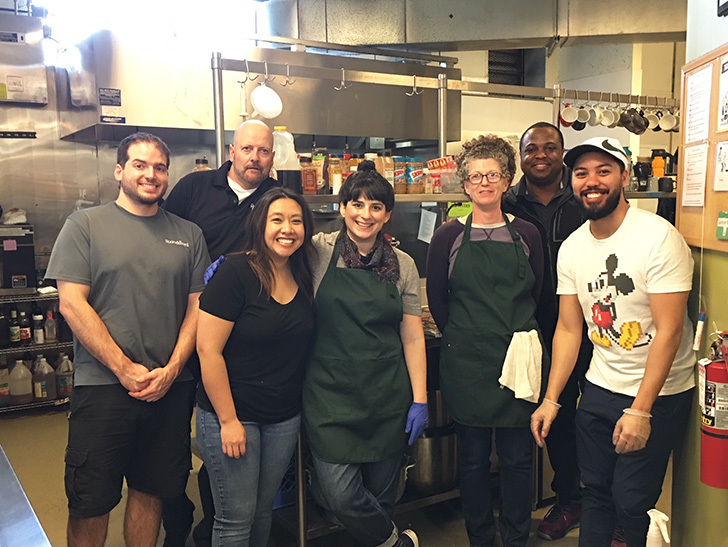 Room & Board staff members help prepare a meal for YouthCare. YouthCare’s services range from emergency shelter and transitional housing to counseling, life skills, GED and high school classes and employment training. YouthCare seeks to end youth homelessness and empower young people to reach their potential. 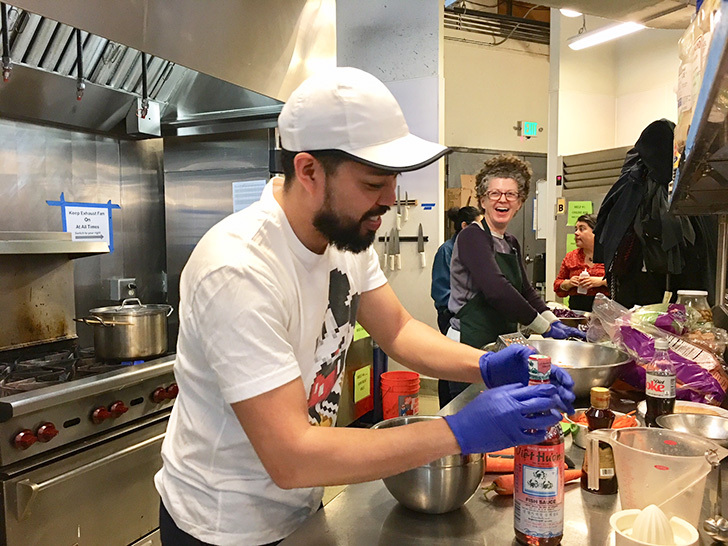 More than 40 percent of homeless youth identify as lesbian, gay, bisexual, transgender and queer so the Seattle team was impressed by YouthCare’s specific housing units for LGBTQ youth. The store and delivery teams have found many ways to support YouthCare over the years. When the store team heard about YouthCare’s prom for its program participants, they had an idea. “We enjoyed identifying the need for corsages and boutonnieres for the kids. The prom is a fun way for the youth to get pampered, dress up and feel good about themselves. We had a fun-filled day. We bought flowers from the farmers market and spent time together talking and laughing. During this time, we assembled 112 boutonnieres and corsages,” said Design Associate Joey Jacinto. The store and delivery teams also get together to make lunch for the youth on a quarterly basis. They bring their own ingredients to lighten the load for the YouthCare staff. Most recently, they made a chicken and tofu salad and it was a hit. “We wanted something bright, beautiful and healthy. It had to be something we could pull together in the hour and a half we have to cook. Most importantly, the kids loved it and we had fun spending time with our partners from the delivery center. We all agree it’s so gratifying to do something tangible to impact our community and we’re all grateful to Room & Board for the opportunity,” said Hong.